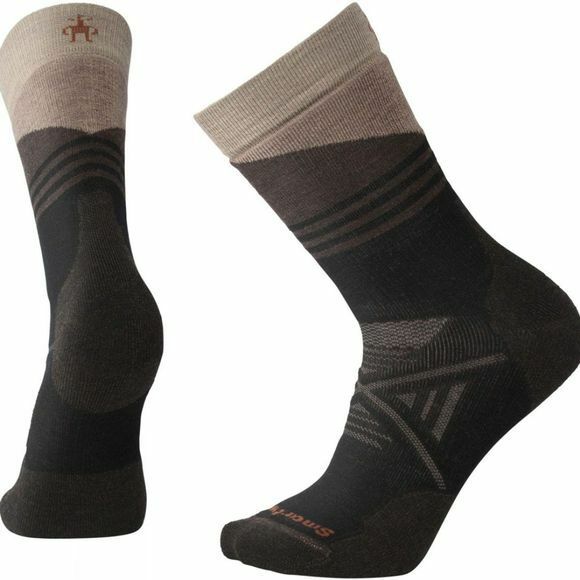 The Mens PHD Outdoor Medium Pattern Crew Socks from Smart Wool offers fit, comfort and durability wrapped together in one smart sock. Featuring Indestructawool technology for ultimate durability in high wear areas, the 4 Degree elite fit system for a dialed fit and our signature Virtually Seamless toe for extraordinary comfort in any trail shoe. Medium cushioning provides impact protection and ultimate comfort on the trail.